This topic contains 4 replies, has 2 voices, and was last updated by georgenabbs 4 years, 1 month ago. The question is : The Johnny Walker poster on the side wall of this block of shops in Wolverhampton was part of a larger hoarding adjoining a wall and entrance to What.enterprise. The scene Unrecognisable today in 2015 Do you know what street this is? 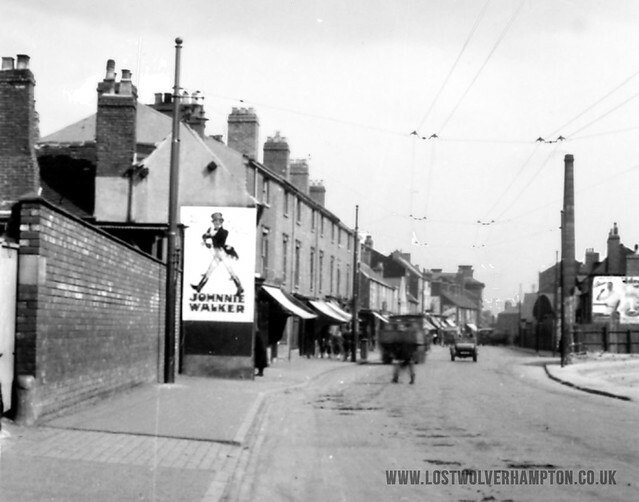 Yes of course as most members said, Bilston Street, with Knock & Joselands Cattle Market on the left behind the walls. across the road on the right is the entrance to Hospital Street. (Source) The Carlton Cinema this week is showing Gary Cooper and Julie London in “Man of the West” released in 1958. In the back ground standing in Walsall Street is the Old Schools Building. Another ten years and we will see the end of Cattle Markets in Wolverhampton. Looking at the second photograph, the one advert says LIFE’S BETTER with the CONSERVATIVES. DON’T LET LABOUR RUIN IT. 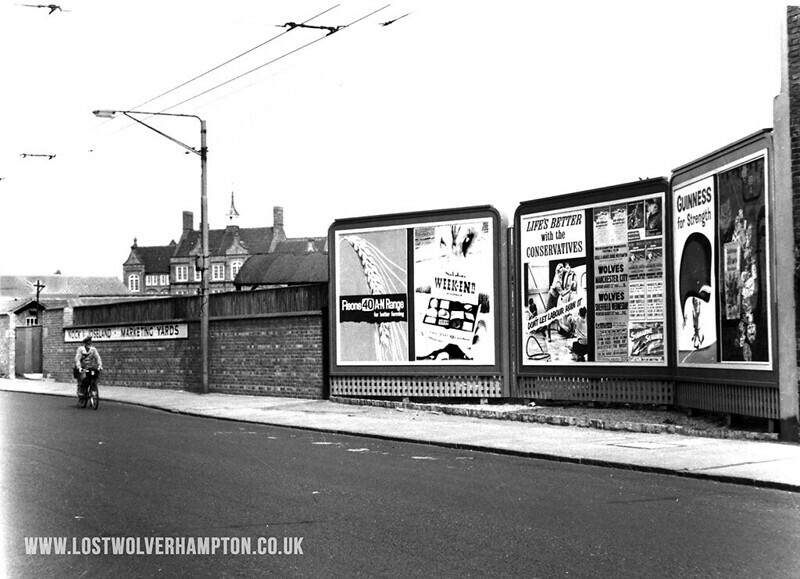 It must have been true, the next advert shows Wolves playing Manchester City. When was the last time that happened?